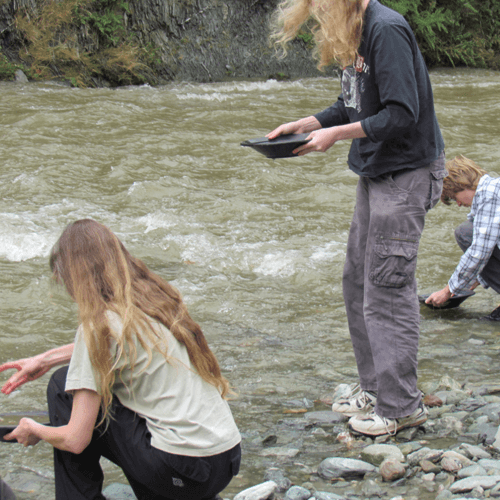 Gold panning in Arrowtown is a “short-visit” fun activity for children and adults. The Arrow River is just two minutes from town, simply hire a gold pan, walk down to the river bank and get started. There is gold to be found and there are several places which hire gold pans and show you how to pan for gold. One has its panning troughs ready so you can pan for gold without getting wet toes!